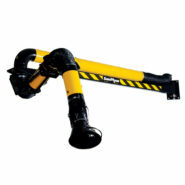 High capacity console mounted extraction arm. 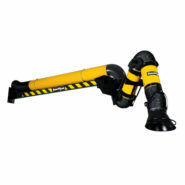 For welding fumes, oil mist, dust and similar. Outstanding flexibility and reach. 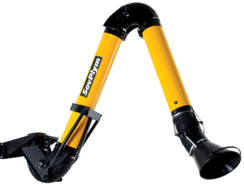 Compact telescopic extraction arm for fumes. Versatile solution for small premises or limited space workplaces. For limited space workshops and production areas. 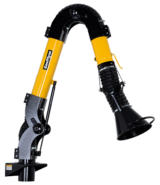 Console mounted telescopic extraction arm. High capacity for welding fumes. 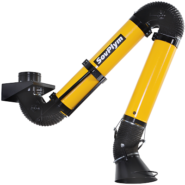 High capacity extraction arm for welding fumes, oil mists, dust and similar pollutants. Available in different lengths. Compact table-top installation. 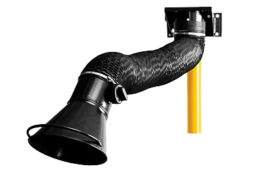 For soldering fumes, dusts and chemical vapors.